Grahame Bessey observed freshly painted KBZ3617 outside Reynold's Ormesby Road Garage on his way to work early this morning. 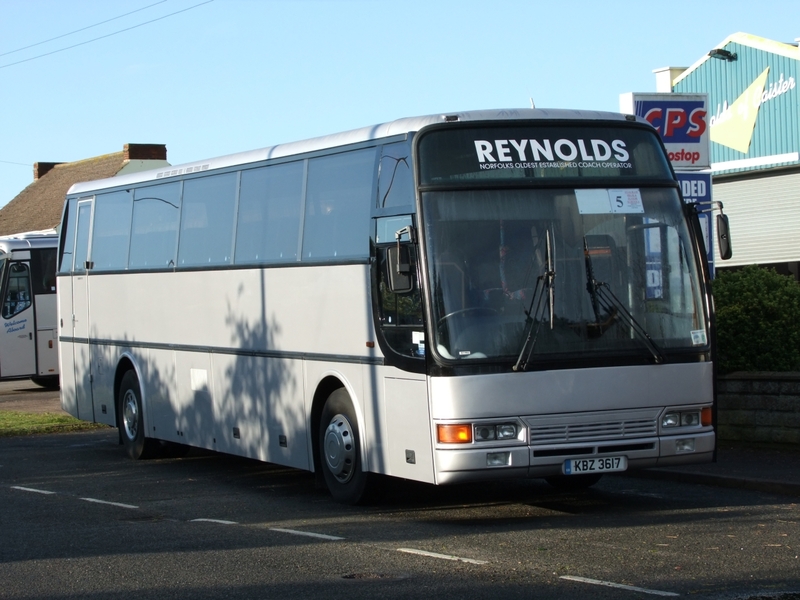 Acquired by Reynolds during autumn 2011, it is now in Reynold's colours (although without fleetnames) having formerly been in all over white. This evening I have just returned from a cold, wet and windy weekend in the West Midlands area. On Saturday evening we agreed to meet friends in Coleshill and on the way I saw Arriva Midlands North Scania 3808 (YN08HZV) laying over on Coventry Road. Its next duty was the 18:23 Coleshill Town Hall to Tamworth 115 service. Although we thought the cold and wet weather on Saturday was bad, we then had to endure strong winds and even more rain on Sunday when we made a return visit to Tamworth. What a contrast to the warm sunny weather we experienced a month earlier! The terrible weather wasn't conducive to taking good pictures - plus I only had my mobile phone with me so I had to make do and take pictures with that! 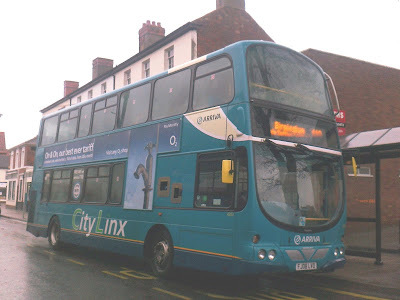 This is Arriva Midlands North Volvo B9TL / Wright Eclipse Gemini 4203 (FJ08LVO) in the rain in Victoria Road, Tamworth. It is about to leave for Birmingham on the 110 route. Another Eclipse was pictured outside Arriva's Aldergate Garage. No 4205 (FJ08LVR) awaits its next working. 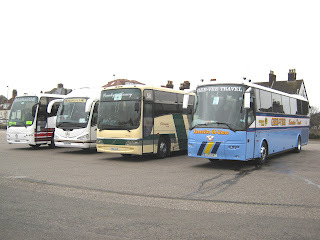 With it being a Sunday the adjoining garage yard was full of buses too. Needless to say I didn't hang around for long as the dry and warmer shops were an attraction for once! 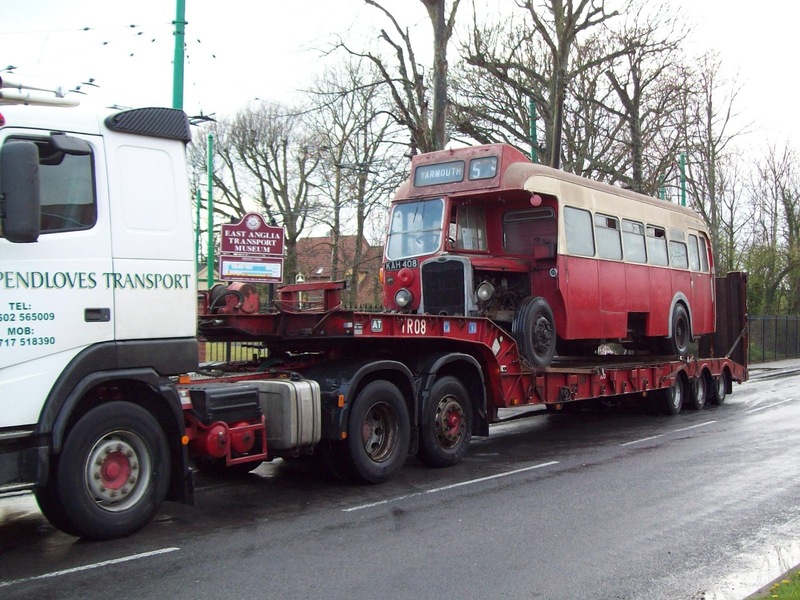 Last week saw the temporary departure of former Eastern Counties Omnibus Company's LL408 (KAH408) from the East Anglia Transport Museum to a Northamptonshire based preservation group for restoration. The next photo shows 408 on a trailer outside the museum awaiting the loading of a spare engine. 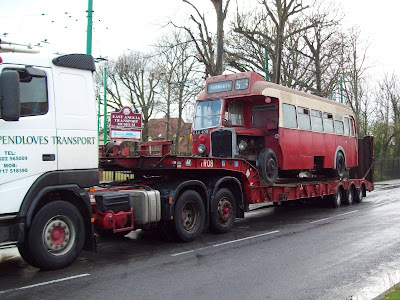 The bus joined the museum in the early 1970's having been donated by a Norwich school. The LL will be in good company as there are also two other former ECOC vehicles at the Northamptonshire premises. These include LH 537 (HAH537L) a Bristol LH6L also with an ECW B43F body and LE 699 (KNG699) a Bristol L5G with ECW C31R body (later converted to DP31R). The latter (pictured) dates from 1950 whilst the former was new to ECOC in 1972. A flying visit to Great Yarmouth early yesterday afternoon brought with it some photo opportunities. 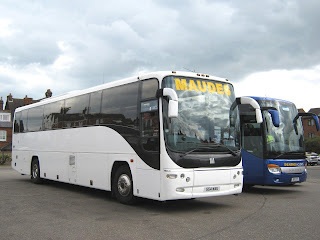 Three coaches were on site - Gibbons Holidays' Setra S315GT-HD AT03LCT, John Pike Coaches' Volvo B12M/Jonckheere Mistral SF05XEC and Shearings' Volvo B12M/Van Hool Alizee 801 MX06AKN. SF05XEC was in Grand UK Holidays livery, whilst MX06AKN wore Grand Tourer colours. First Eastern Counties Dart 43452 (P452RPW) made a few appearances in Market Gates during the afternoon. A recent transfer from Norwich, 43452 is pictured at Market Gates ready to work the 14:45 to Bradwell Blue Sky. Minutes earlier Reynolds of Caister's Mercedes BU04FAJ was seen parked up at the bus station following the completion of a schools contract. The Go-Ahead Group, one of the UK’s largest bus operators, yesterday announced the acquisition of Anglian Buses. Anglian Buses is based in Beccles, Suffolk and operates 71 buses. The business runs services from the Suffolk coast to, from and within Norwich, as well as in Great Yarmouth, Lowestoft and on the Suffolk coastal strip down to Ipswich. 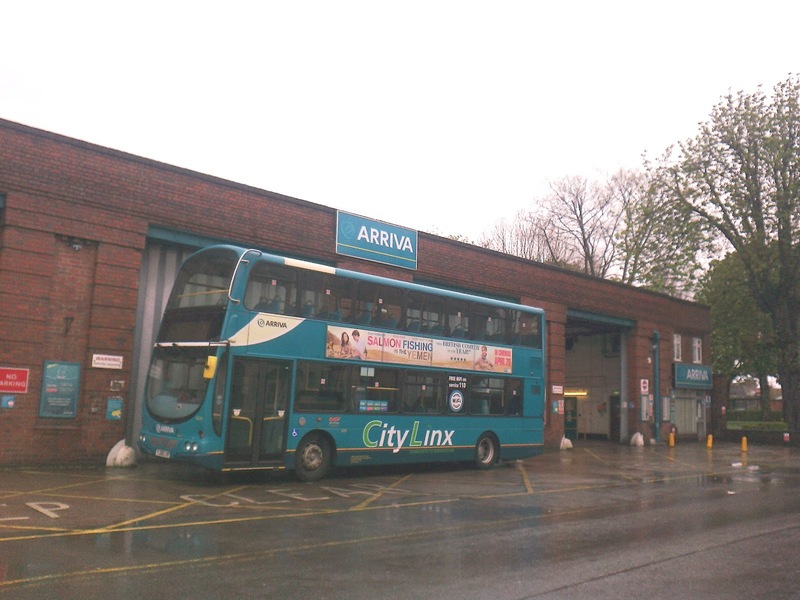 It has two depots, in Beccles and Rackheath and employs 133 staff including 100 bus drivers. 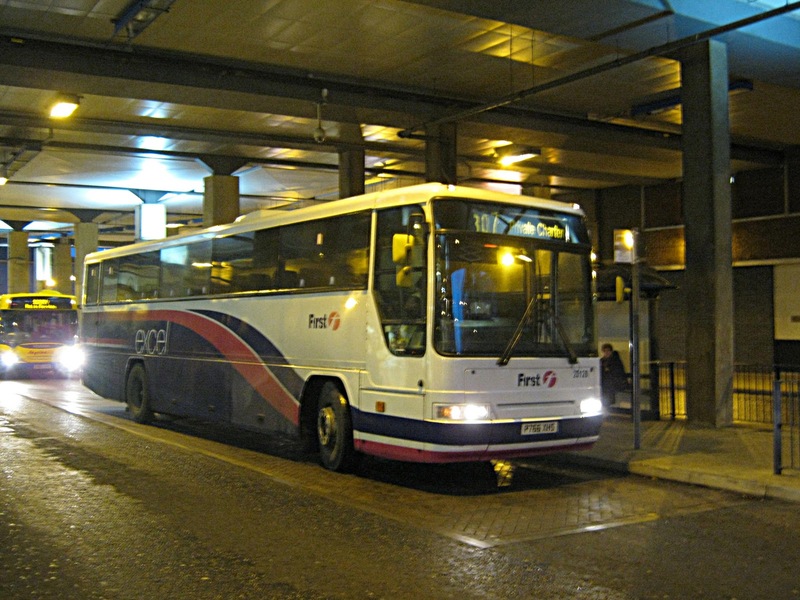 Anglian operates a mix of commercial routes and school and local bus contracts. The business was established in 1981 by David and Christine Pursey, both of whom will now retire. Andrew Pursey will stay with the business and become Managing Director. The company name and brand will remain in place. David Brown, Group Chief Executive of Go-Ahead said:"Anglian Buses fits well with our strategy of acquiring well-managed businesses which have the potential for growth and further development. We look forward to building on the success already achieved by the Pursey family and the Anglian Bus team." Late this afternoon the East Anglia Transport Museum at Carlton Colville witnessed the arrival of two former London Transport vehicles. The vehicles will be present for the museum's 2012 London Event being held on two days over the May bank holiday weekend. The first to appear at Carlton Colville was 'Diddler' trolleybus no.1 following 22 years in store. The "Diddlers" were the first trolleybuses in London and the only ones with a half cab. They were originally built for London United and were used on the South West London services plying Kingston, Teddington, Surbiton and Wimbledon. Introduced in 1931, the 'A' class began service between Twickenham and Teddington and lasted until 1952 when they were replaced by 'Q' class trolleybuses. Diddler No.1 was preserved on retirement but ran again on 8 May 1962, the last day of trolleybus operation and is usually to be found at the London Transport Museum Depot at Acton Town. The Diddler is expected to provide only a limited number of rides in service over the weekend. The 2012 London Event is being held on Sunday 6th May and Bank Holiday Monday 7th May between 11:00am and 5:00pm. It marks 50 years since the London Trolleybus system closed and 60 years since London's last tram. The Traffic Commissioner for the Eastern Traffic Area published his latest Notices and Proceedings Report on 18th April 2012. The report provides details of proposed alterations to bus services in the Eastern Traffic Area. This latest publication includes a considerable number of changes registered by First Eastern Counties for Lowestoft town services, including three new routes. 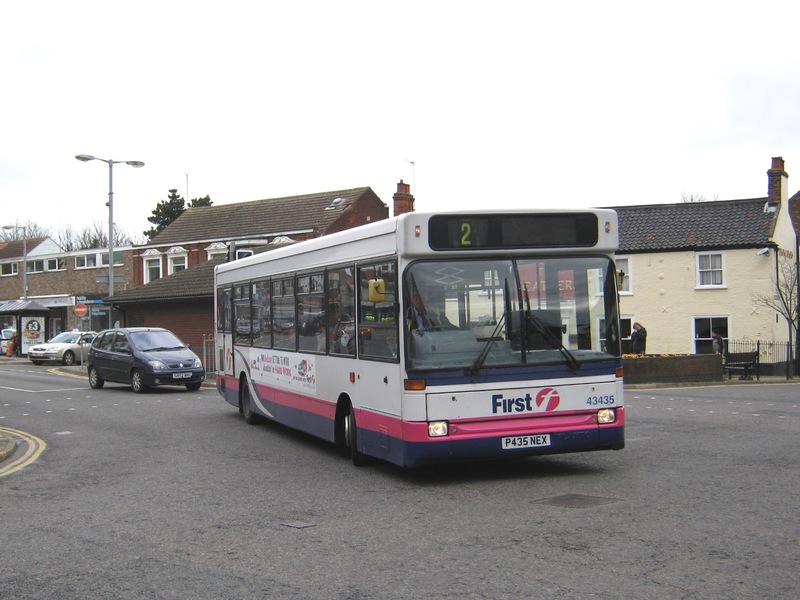 Changes are also due to occur in Great Yarmouth with First's service 3 being extended via the seafront to the Seashore Holiday Park once more. Other Details: Mondays to Saturdays. Operating between NEWPORT (CARAVAN PARK) and GREAT YARMOUTH (SEASHORE HOLIDAY PARK) given service number 3 effective from 02-Jun-2012. To amend Route, Stopping Places and Timetable. Operating between Stalham and Norfolk & Norwich Hospital given service number 12/12A effective from 03-Jun-2012. To amend Route, Stopping Places and Timetable. Operating between LOWESTOFT (GUNTON, CRESTVIEW DRIVE) and LOWESTOFT (HOLLOW GROVE, COWSLIP CRESCENT) given service number 101 effective from 27-May-2012. To amend Route, Stopping Places and Timetable. Operating between Market Gates and Bunnewell Avenue given service number 206 effective from 27-May-2012. 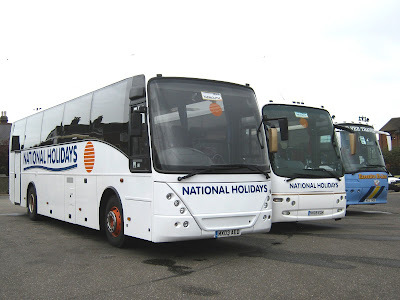 Operating between Norwich and Lowestoft given service number 171 effective from 27-May-2012. Stephen Gowler travelled from Oulton Broad to Great Yarmouth yesterday and popped into Beach Coach Station to view the occupants. He then endured a very bumpy ride back into Suffolk on one of the rear seats of First's B10BLE 60807 (S658RNA) and "actually left my seat at one point." Thanks for the information and photos of all six vehicles Steve and I trust you have now fully recovered from your adventure! Regular visitors to the blog will remember that First Eastern Counties Dart 43435 (P435NEX) was observed at the rear of Great Yarmouth's Caister Road depot on Good Friday. Reportedly the former Ipswich vehicle was to receive an MOT prior to its move to nearby Lowestoft. However, during the last few days it has been operating Great Yarmouth local services. The photo shows 43435 making the turn from Gorleston High Street into Church Lane on service 2 earlier this afternoon. Another Wednesday at Beach Coach Station which saw nine coaches on site. Apologies for the gloomy pictures as it was a typical April day - overcast and full of showers! 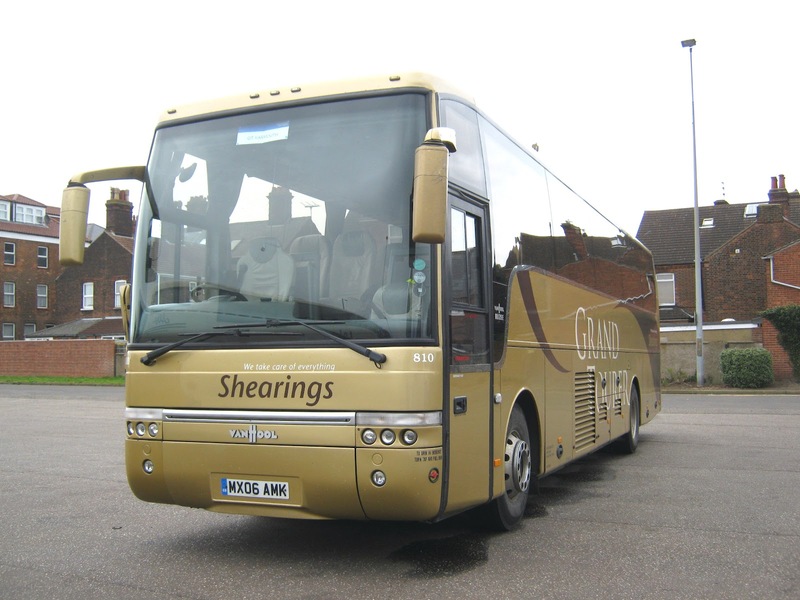 The Shearings Group accounted for three of them; Shearings Volvo B12M 810 (MX06AMK) was parked on its own and was wearing Grand Tourer colours. The two National Holidays vehicles were Volvo B12M's NH05EDH and MX03AED. 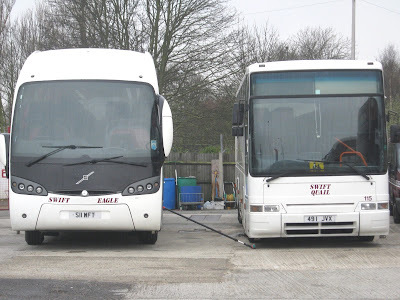 These were side by side with Gee-Vee Travel's Bova KEZ7425. 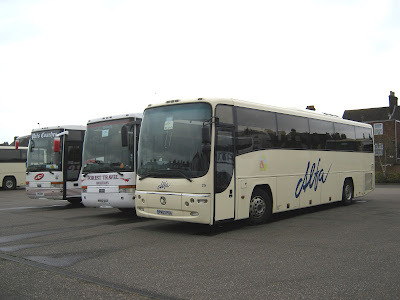 Alfa Travel of Chorley also had two coaches present; Dennis R410 25 (PN03POA) and Volvo B12B 59 (YN10EOK). Both have Plaxton Paragon bodywork. 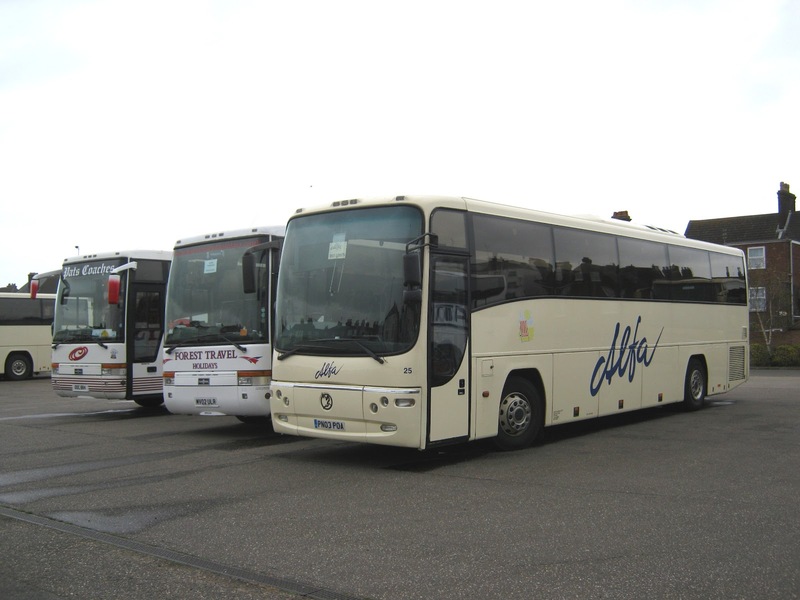 Alfa's 59 is pictured with Pats Coaches Scania OOC884 and Forest Travel's Volvo MV02ULR - the latter formerly with Shearings. Making up the numbers was David Urquhart's Mercedes FP5992. 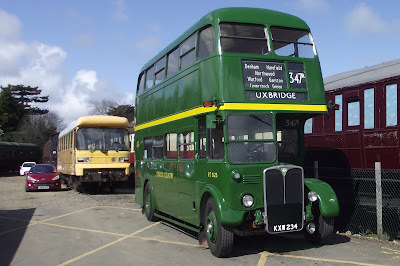 This past weekend saw the North Norfolk Railway hold their Vintage Bus Weekend. In addition to the buses operating on five routes, there were a number of visitors in attendance too. Unfortunately yours truly was unable to make either of the two days due to family commitments. 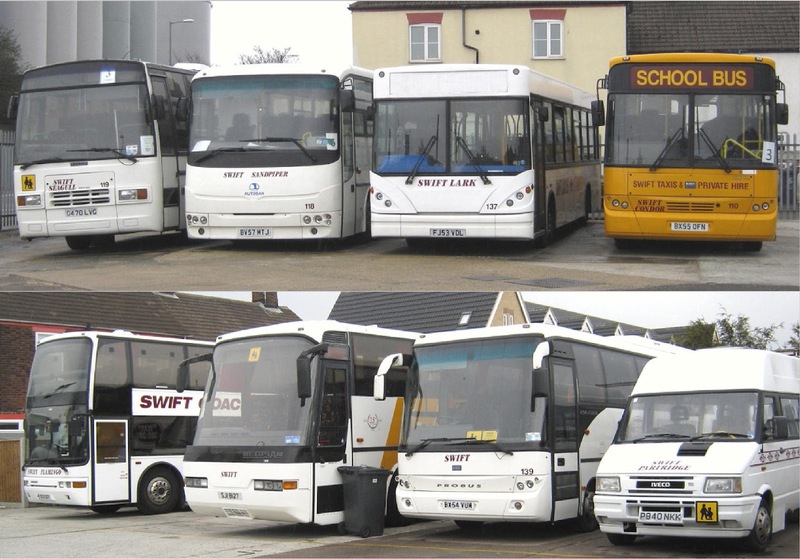 However, Neil Chilvers provides a few pictures of some of the buses at the event. The first photo is of former Eastern Counties Bristol RELL6G EPW516K. 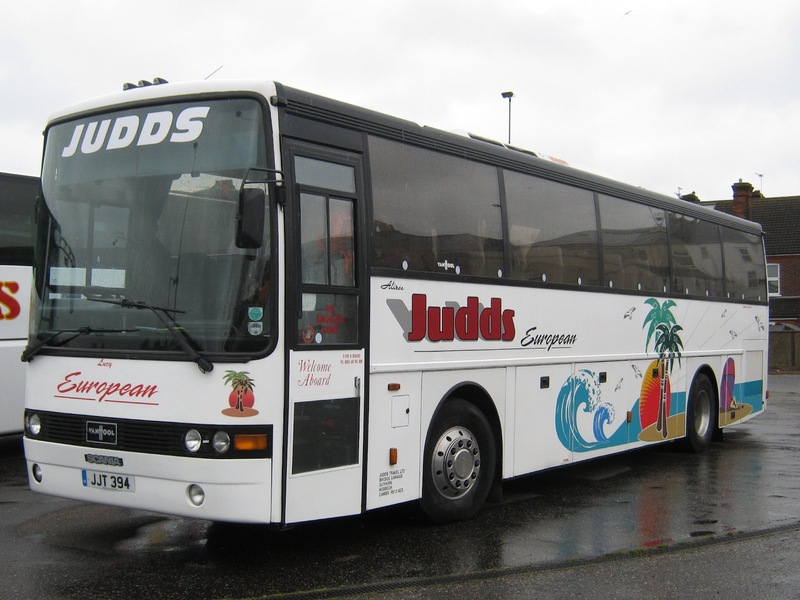 She was then acquired by Busways of Newcastle which eventually became part of the Stagecoach Group. Saturday was her first trip out after restoration. With this year being the 40th year since the first pre-production Leyland National entering service, it was appropriate that at least one should appear. This is a series 2 example of the model with a longer body and modified engineering. East Lancs Coachbuilders began a programme of rebuilding worn out Leyland Nationals as 'Greenaways' which were fitted with replacement Gardner engines. Eastern Counties Omnibus Company's WAH587S underwent conversion as a Greenaway in 1995. The vehicle is now owned by Carters Coach Services of Suffolk who have spent some time restoring her and is seen here in Carter's livery. 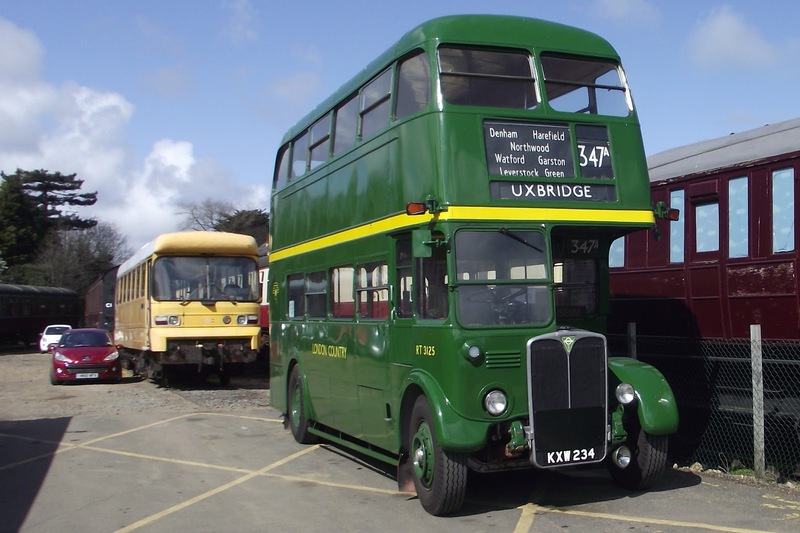 On Sunday Neil captured the East Anglia Transport Museum's AEC Regent III KXW234 posing in front of Railbus LEV1. The Regent was in London Country Green as RT3125 and was one of 7000 RT class of London buses. LEV 1 was a joint experiment between Leyland and BR to combine the (worst) features of rail and bus. The railbus is owned by the National Railway Museum and had operated on routes in East Anglia including the East Suffolk line between Lowestoft and Ipswich. As mentioned earlier, some of the buses worked on free services throughout the weekend. This is former Eastern Counties Bristol K5G 718 (KNG718) which is pictured on the 24 route between Sheringham and Cley on the Sunday. It was an appropriate working as in its ECOC days it was based at Holt and Blakeney. It was expected that former Great Yarmouth Corporation Reliance 85 (AEX85B) would also get involved in the action on Sunday but couldn't attend due to a water leak. My thanks to Neil Chilvers for the pictures and the supporting information. 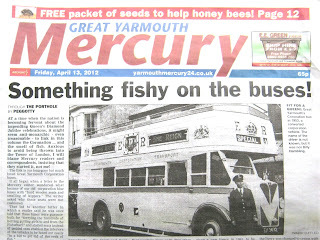 Something Fishy on the Buses! This is the unlikely title of an article appearing in the Peggotty column in this week's Great Yarmouth Mercury which looks at the history of some of the Great Yarmouth Corporation's buses. Firstly, Peggotty dismisses the myth that the Guy utility buses, purchased by the Corporation in 1944, were used in "ferrying the hundreds of herring gutting girls to and from the Fishwharf" and that their slatted seats enabled the interiors to be hosed out easily "in a bid to get rid of the reek of fish." He also highlights the fact that a large number of Great Yarmouth buses were sent to heavily-bombed Coventry to help out during 1940-41. Peggotty then talks of the conversion of one of the town's buses into an open topper with a photo shown at the top of the article. The bus continued in use on seafront services until 1960 when it was withdrawn and sold for scrap. Synonymous with the first cuckoo of spring is the appearance of the first Whippet of spring in Great Yarmouth! Whippet Coaches operated their first service of 2012 to Great Yarmouth today. Regular visitor from last year, Volvo B10M H19WCL, appeared on Service A from Cambridge and is seen here at Beach Coach Station in mid-afternoon. The weekday service commences from the 1st May whilst the Saturday service continues until the 22nd December. 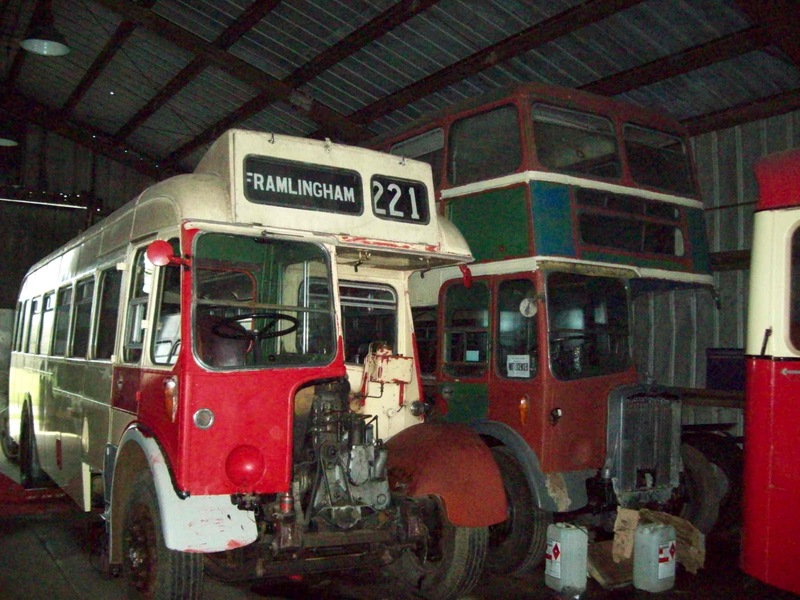 The East Anglia Transport Museum, based at Carlton Coleville near Lowestoft, is currently working on the restoration of two former Great Yarmouth buses. One very old one and one not so old! The first vehicle is former Great Yarmouth Corporation No.4 a Guy BB of 1924 with United body, the forerunner of the Eastern Coachworks. Withdrawn in 1936 it was sold for scrap in 1937. The vehicle subsequently passed into preservation some time ago and was stored undercover for many years until it joined the museum collection in 2009. As can be seen from the photographs the vehicle will require extensive and expensive restoration, fortunately the vehicle is mechanically quite complete although some components will need re-engineering. The vehicle has crazed paintwork which reveals the original crimson and cream livery and details of the gold lining. The corporation crests are still visible on either side, the name of the Transport Manager (from 1930 onwards) H A Blackburn can still be made out, and on the back panel the fleet number 4 is just visible. Restoration of the vehicle will take a considerable time and will be costly and plans of how this can be moved forward have yet to be drawn up. The final photo shows Dennis Dart 62 (K62KEX), the last vehicle to ordered by the Corporation which awaits repainting into Great Yarmouth Transport livery. The museum acquired the vehicle from First Eastern Counties following withdrawal in 2009. I am very grateful to Tim for his report and accompanying photographs. 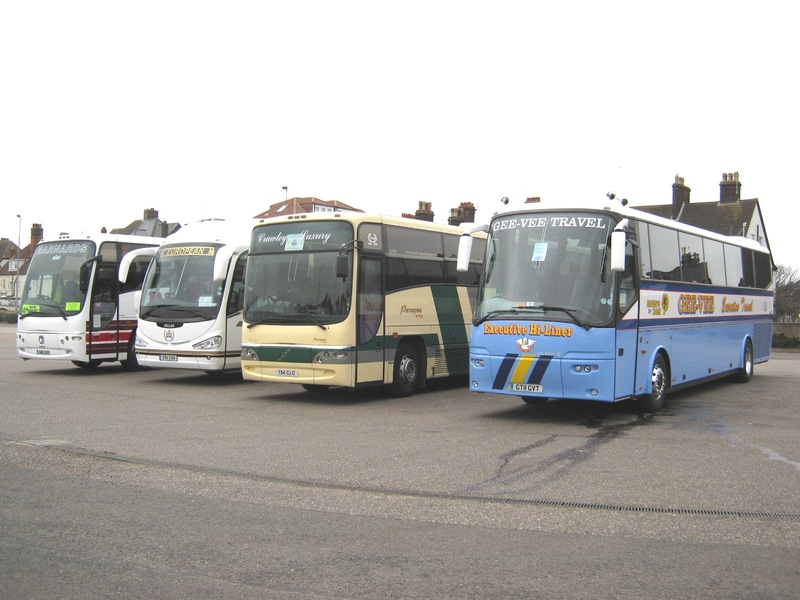 Beach Coach Station was a very busy place yesterday with showman's rides and vehicles arriving and occupying much of the available space in readiness for the traditional late Easter fair. 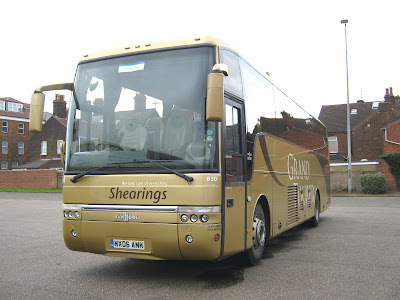 However, there was an area set aside for coaches and four were present when I arrived at around 2.30pm.They were APT Coaches of Rayleigh PT07APT; Shearings 321 BK11CPX; John Pike Coaches of Andover SF05XEC and Alfa Coaches of Chorley 25 PN03PNA. Anglian Bus began its new 603 service in Lowestoft on Monday 9th April. The route starts at the East Anglia Transport Museum in Carlton Coleville and takes in Secrets Corner, Lowestoft Road, Ribblesdale and Stradbroke Road on its way to Lowestoft Bus Station. It runs Monday to Saturday on a thirty minute frequency. Neil Chilvers recorded Optare Solo M950 YN57HPU (fleet number 313) on the route around lunch time on the first day of the working. Many thanks to Neil for the photo and the information. The Traffic Commissioner for the Eastern Traffic Area has recently published his report of Notices and Proceedings. These reports provide details of alterations to bus services in the Eastern Traffic Area. Other Details: School days only. Other Details: Mondays to Fridays & Sundays. No Saturday service. 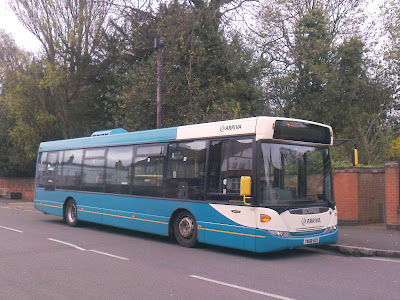 Operating between GUNTON ST PETER and BURNT HILL given service number 108 effective from 30-Apr-2012. To amend Route and Timetable. Operating between HOLT and FAKENHAM given service number 46 effective from 06-May-2012. To amend Timetable. Operating between Reepham and Norwich, Norwich High School given service number 44/44A/X44 effective from 06-May-2012. To amend Timetable. Operating between North Walsham - Post Office and Great Yarmouth - Market Gates given service number 6 effective from 06-May-2012. To amend Timetable. Operating between Cromer, Cadogan Road and Wroxham, Roys Department Store given service number 35 effective from 06-May-2012. To amend Timetable. Operating between Cromer Cadogan Road and North Walsham - Post Office given service number 5 effective from 06-May-2012. To amend Timetable. Operating between CROMER and NORWICH given service number 5A effective from 06-May-2012. To amend Timetable. Operating between CAWSTON and DEREHAM given service number 80 effective from 06-May-2012. To amend Timetable. Operating between North Walsham - Post Office and Norwich City Centre given service number 55 effective from 06-May-2012. To amend Timetable. Operating between NORWICH and HOLT given service number 45 effective from 06-May-2012. To amend Timetable. 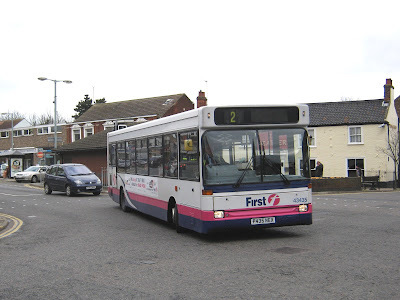 Operating between Fakenham, Oak Street and Kings Lynn, Bus Station given service number X8 effective from 06-May-2012. To amend Timetable. Operating between Holt, Edinburgh Road and Cromer, Cadogan Road given service number 4 effective from 06-May-2012. To amend Timetable. Operating between Holt, Market Place and Fakenham, Oak Street given service number 9 effective from 06-May-2012. To amend Timetable. Operating between Sheringham, Station Approach and Overstrand Post Office given service number 22 effective from 06-May-2012. To amend Timetable. Eastern Monday was a damp and dull day in Great Yarmouth - normal bank holiday weather I hear you say! This appears to have been reflected in the activity at Beach Coach Station with only three coaches there in mid-afternoon; despite it being raceday too. 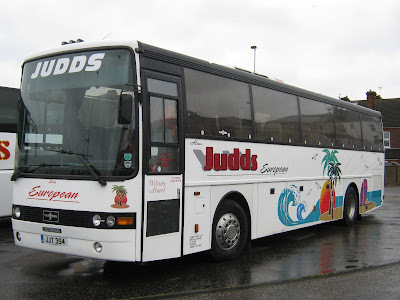 Judds' Scania K113CRB / Van Hool Alizee JJT394 was one of the three noted. The others were Saffords Coaches Volvo B10M XIL7872 and Cooks Coaches Bova YJ06GNO. With a little spare time on my hands I thought I would whizz around the usual locations to see if there were any rare workings/visitors to be found. Here's a resume of what I saw. Only four independents at the coach station when I visited at around 4 pm. - regular visitor to the town. Not much happening at the front of the depot so I thought I would view the rear yard. Unlike the last time I visited, it looked completely full! Two Darts were situated next to her but I initially couldn't identify them. However, crossing the road I was surprised to see their rear registrations over the top of the high wall. I double checked them to make sure my eyes weren't deceiving me but they were P433NEX and P435NEX - both Ipswich vehicles on the last allocation list! It's not known if they are on loan or have been transferred. I took two photos which I have merged into one showing eight of them. An unexpected interesting half hour touring around the usual haunts! 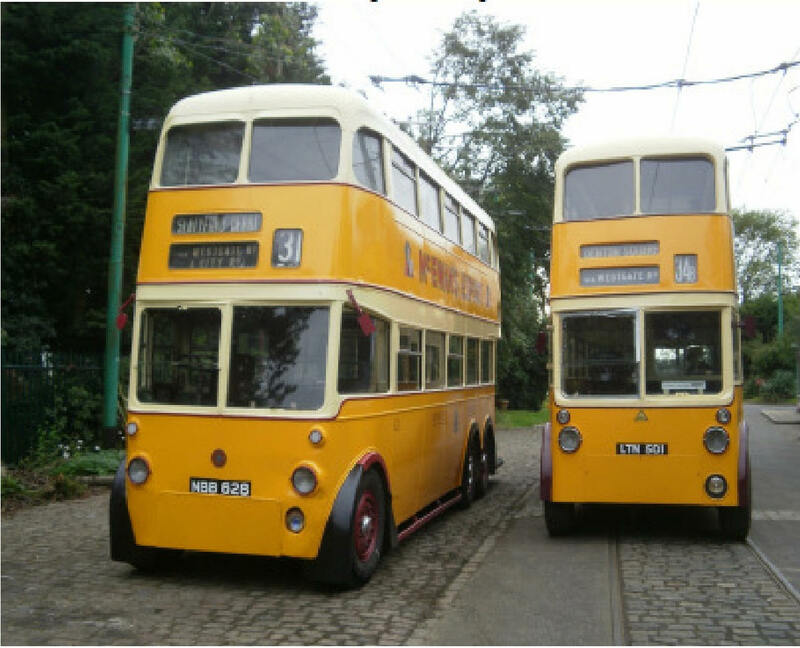 On two days this Easter weekend, there will be the last opportunity to see two Newcastle Trolleybuses in service together for a number of years. Both six wheelers, 501 and 628, will be in service at the East Anglia Transport Museum at Carlton Colville (near Lowestoft) on Good Friday 6th April and Saturday 7th April. 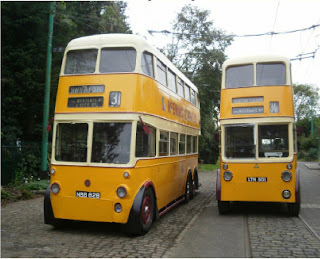 After the event 501 will be returning to the Beamish Museum following its short term loan. from 1 pm on both days but on Saturday there's the added bonus that the duo, and other vehicles from the collection, will be operating After Dark services until 9 pm. On Good Friday the museum closes at 5 pm. Free bus tours will also operate and there will be a free connecting service to Lowestoft. My thanks goes to Neil Chilvers at the East Anglia Transport Museum for his help with preparing this post. Following his update to First Eastern Counties operations in the town, Grahame Bessey has informed me of changes at two other Great Yarmouth area operators. Ambassador Travel's Volvo B12M/ Plaxton Paragon 197 is now carrying cherished plate KIG 1857. She is pictured here at Ambassador's Gapton Hall premises in December 2008 in her previous guise of FN52HRM and wearing National Express branding. Reynolds of Caister has acquired another vehicle - this time its a Toyota BB50R with Caetano B22F bodywork. Registered as FJ54MOA, she was new to Browne of Yiewsley which is in the Greater London area. Thanks once more for the information Grahame. Volvo B10M/ Plaxton Premiere coach 20126 has been withdrawn following gearbox failure. She is shown left at Market Gates during December last year. Sister vehicle 20102 (N602APU) has transferred here from Ipswich as its replacement. Dennis Dart/ Plaxton Pointer 43444 (P844OAH) has been collected from the rear of the depot by Erith Commercials for scrap. A photo of the Dart appeared in an earlier blog posting. The beginning of the month coincides with the news that the Flying Banana name could soon return to the town. 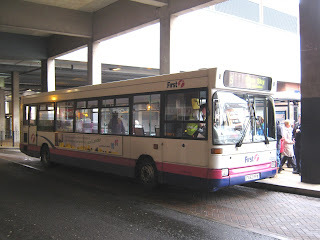 The original Flying Banana bus service started in the town in late 1990's with the purpose of providing a connection between Gorleston's Shrublands Estate and Great Yarmouth - then unserved by a bus link. With First's current services through the estate currently being gradually reduced due to Government funding cuts, it has emerged that a community bus scheme could be established utilising vehicles presently out of use during the off peak periods. 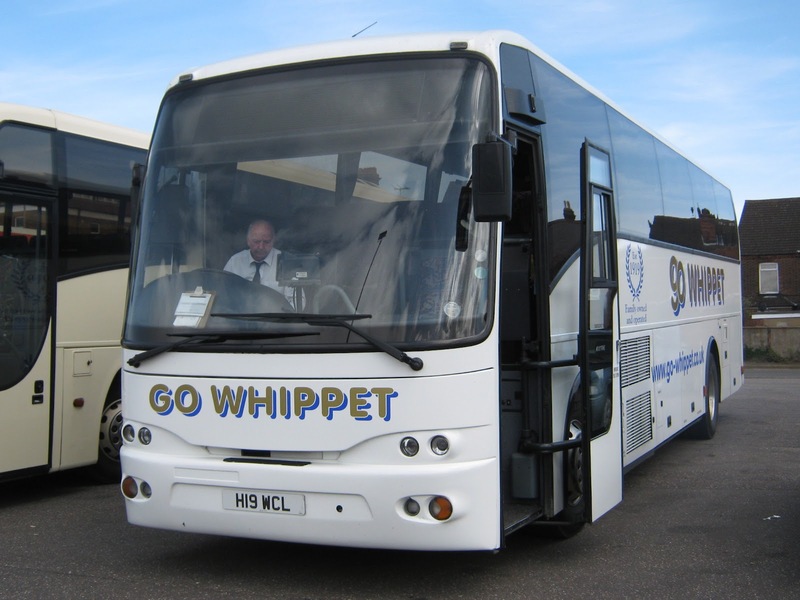 The scheme, to be funded under the European AFOOL programme, will allow the as yet undisclosed bus company to train up volunteers to operate the service. A similar scheme already operates in South Wales. The project director, Mr B Anaskins, hopes to commence the service later in the year providing there are no slip ups in registering the service.